What do you do when you want to offer the best advice on how to hire sales reps, train them and get them to stay? You ask an expert, like Amy Volas, how they do it. Amy has built sales teams for many high growth startups and wants to share exactly how to hire and retain top talent for your team. The craziest thing I’ve learned in the last 20 years in sales and recruiting is that these are the exact same things required to hire sales reps and retain the best salespeople for your team, too. In fact, there’s only one major difference I see between customers and employees these days: employees just buy with a different currency – their talent. If there is anything you take from this article, it is this fact. Internalizing this mentality will revolutionize your company culture and your hiring processes. Because the truth is, your hiring process is actually a sales process. 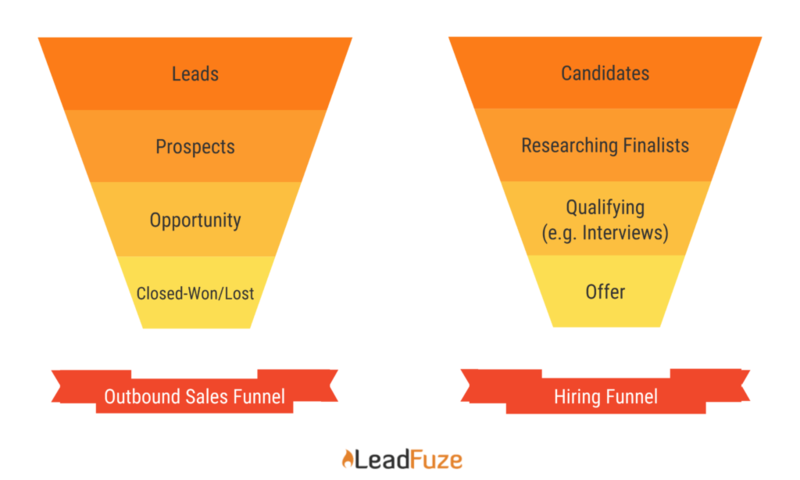 Editor’s Note: You really should treat your hiring like a funnel — much like sales. Too many sales teams and small business owners treat hiring like filling holes, instead of building on a firm foundation. Much like your sales process, you should find quality prospects, qualify them to see if they’re a fit and finally pitch them. That said, here’s how to use this mentality find, hire, and retain the sales talent that is going to help you scale the mess out of your business and why it matters. First and foremost, you have to understand how top performers think if you want to find one and bring them on board. Because they don’t think like the majority of salespeople out there. Top talent knows what they are worth. They know that their skills will bring in way more than you will pay them to work for you. And as a result, they are rarely unemployed or lacking opportunity. In plain English though, this means all-stars don’t need you. And herein lies the point where most companies stumble – they try to attract top talent with all the wrong things like big comp plans, fluffy perks masked as a great culture, or empty promises that fall flat when they get there and realize there isn’t enough support to cater to the buyer’s journey. Folks, there is a better way! These things may work in the short term but they can cost you greatly in the long run – think hundreds of thousands of dollars and an uphill battle hiring remarkable people in the future. You MUST take the time to understand what makes YOU truly tick and why and then dig deep to find out the same details for the person you’re trying to engage. If that foundation doesn’t map back to yours, this is where the cracks will start to break apart down the road, regardless of how many accolades they have or how big their sales numbers on their resume are. So as you search for people to interview, ask yourself: “What do they believe? What do they care about? What makes them tick?” Look for clues outside the resume and see if they are inline with the things you and your company care about. What are others saying about them? Do a simple google search, what do you see? Key Takeaway: To find the cream of the sales crop, find the people who believe what you believe and have the skills to back it up. Respect the contribution they have the potential to make. 2When you reach out, don’t sell – start a conversation. Straight up… would you reach out cold to a sales prospect and throw a hard sell at them right away? I don’t know many successful salespeople who do this these days. For me, personally at least, it’s an automatic way to make sure we never do business. Sadly though, many people do this with sales candidates they are approaching and it kills their chances in an instant with real all-stars. Remember – talented people aren’t lacking opportunities. They don’t need you! So instead, put your sales prospecting hat on and reach out to get to know what makes them tick. Treat this like a whiteboard session – it should be collaborative and the goal should be to see if a partnership is possible, just like your sales process should be. Connect it to your beliefs and start a conversation to gauge their interest before ever making a pitch. And remember, a little understanding goes a long way! Need help doing that? Here’s a great article straight from the LeadFuze blog that will help you write a cold email for sales prospecting that you can use to reach out to sales candidates as well. Key Takeaway: Treat initial contact with sales candidates just like you would with your sales prospects. Don’t assume they need you, do the discovery work just like you would in your sales process! 3Show them how much you care during interviews. Why is it that some hotels like The Mark in New York can charge $1000+ a night for a suite when the Best Western is down the street for less than $200? Answer: Because they are designed for different clientele. The person who is going to stay at The Mark is shelling out a LOT of cash… and expects a lot in return. And while a Best Western would love to attract customers that were willing to pay $1000 a night, the reality is, they don’t have the hotel to justify that. Hiring the best talent works like that, too. 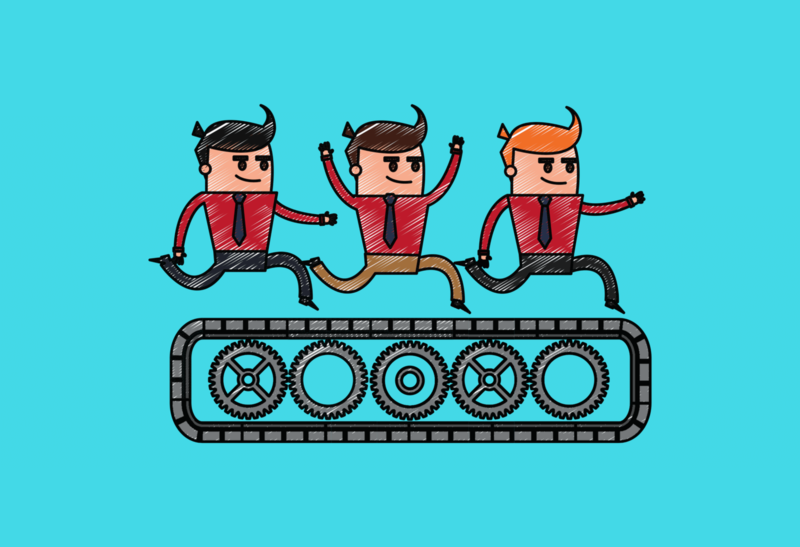 Again, remember – your employees are the same as your customers but buy with a different currency (talent). And in that respect, all-stars are the “luxury buyers” in the talent marketplace. They have the cash and are willing to spend it if the value they get in return is right. So just like the lobby of a hotel is an indication of what’s to come, so is the candidate experience you create during interviews for your prospective team members. Knock their socks off and roll the red carpet out in every respect of the interview process. Want to learn how to do that? Here’s how to create a candidate experience that makes your startup magnetic to all-star talent. Show sales candidates how much you want them there. And what working with you is like by creating an amazing experience for them during interviews. Think about how magical the red carpet is and how it makes people feel when they walk on it… don’t you want to create the same magic for your hiring process? Again, the key takeaway for this article? Your hiring process and sales process should look very similar if you want to bring in and retain amazing sales talent. Your customers and employees are exactly the same after all. Find the people who believe what you believe. Show them how much you respect and value the contribution they could make to your business from initial contact, through interviews, and beyond. This is how you bring the best people on board and keep them there. Amy Volas is a sales fanatic turned entrepreneur, bitten by the startup bug many moons ago and couldn't imagine spending her time anywhere else. She created Avenue Talent Partners to help with the tremendous task of growing startups through one of their most valuable assets — Sales People. When she's not working, she's spending time with her cat, dog, and husband — in that order (jokes).